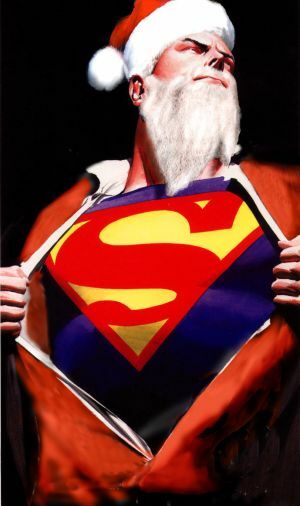 This post may bother some of us who think of Christ as a Superhero Santa Claus who saves us from all of our problems and makes all of our wishes come true. What if Jesus’ greatest power is being a friend who loves us no matter what and considers what is best for us and just keeps it Super Real? A lot of us distance ourselves from Christ’s teachings and lifestyle, because we ignore his humanity. We make him a symbol of the unattainable rather than seeing that he lived his life to show us what was possible in us. He didn’t want us walking around being less than who we were created to be because we wanted to fit in. He lived so that we could live outstandingly. That’s why I say he does not care what we think, but he loves us. Consider that many of us entertain thoughts that are not worth thinking about and are not life giving. If he considered all of the garbage that we think about, I do not believe he would have had a very effective ministry. That being said, check out the verses below for examples of how Jesus loves without caring. 21 From that time Jesus began to show to His disciples that He must go to Jerusalem, and suffer many things from the elders and chief priests and scribes, and be killed, and be raised the third day.22 Then Peter took Him aside and began to rebuke Him, saying, “Far be it from You, Lord; this shall not happen to You!” 23 But He turned and said to Peter, “Get behind Me, Satan! You are an offense to Me, for you are not mindful of the things of God, but the things of men.”24 Then Jesus said to His disciples, “If anyone desires to come after Me, let him deny himself, and take up his cross, and follow Me. 25 For whoever desires to save his life will lose it, but whoever loses his life for My sake will find it. 26 For what profit is it to a man if he gains the whole world, and loses his own soul? Or what will a man give in exchange for his soul? admittedly, i am lazy about reading anything these past months, no years, but this is a fav…just the subject made me laugh…so thanks for the gloriously funny truth again…. I always enjoy reading your posts/blog. It’s encouraging, not only for me to keep writing but spiritually as well.